Spoiler alert, I’m no makeup artist. But I am a makeup junkie, YouTube tutorial watching kind of girl. Over the last few years I’ve learned so many things about makeup that I never knew! I now know how to contour, I fill in my brows, and I wear winged liner…stuff I didn’t even know about in my high school years! So while I’m no professional, I’m an always learning amateur with my own thoughts and tips that I have learned through the years. 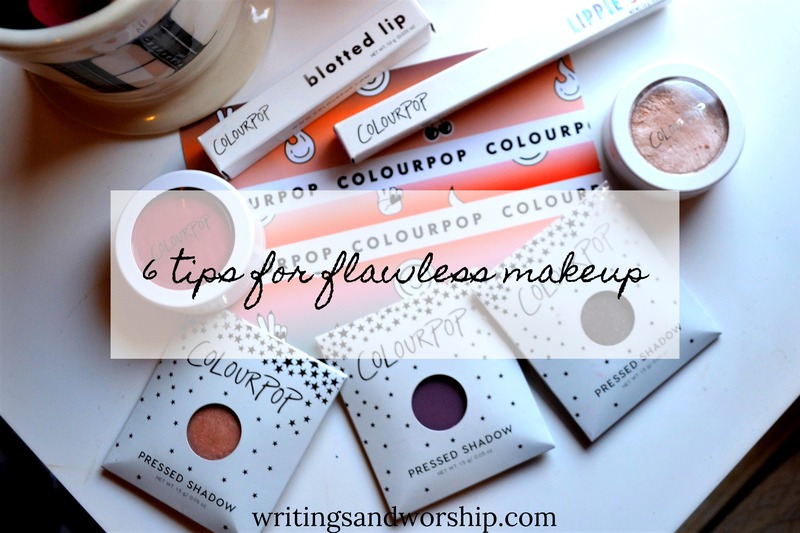 Today I wanted to share 6 simple and helpful tips to more flawless makeup. Maybe you already know these, and maybe you don’t; but I wanted to share with y’all either way. 1. Don’t highlight over breakouts! I never realized how bad it is to wear highlight over pimples and breakouts until fairly recently. But don’t do it! If you have breakouts on and around your cheekbones, avoid a harsh or dramatic highlight (and maybe avoid it all together). All the highlight does is accentuate and “highlight” those breakouts and make them even more noticeable on your face. While it seems obvious, many people don’t use this tip and continue to highlight no matter their skin condition. No one wants to point out or make their breakouts even more noticeable and this is a way to avoid that! I see so many people wearing the wrong shade of foundation and I cringe. Mostly because I’ve been there before, many times. I understand that picking a correct shade of foundation can be tricky-especially for drugstore brands that don’t allow you to swatch before buying. I am horrible at deciding on my color and I rarely ever seem to buy the exact, perfect shade for my skin. But don’t be alarmed if you bought the wrong shade; the makeup industry has seen and heard our cries and brought out mix ins. My biggest tip for flawless makeup is invest in a mix in to perfect a wrong foundation color. If You’re like me, you don’t want to waste a whole foundation that’s just a shade or two off. The NYX white mix in has saved my life (and a good amount of money). The best tip for flawless makeup is to strive for flawless skin. I will admit I am usually horrible at keeping a consistent and complete skincare routine. I seem to have gotten the typical “teenage acne” in my twenties (yippee) and I have really began to work hard on skincare. The brighter, cleaner, and smoother my skin is the nicer my makeup applies and looks. Healthy skin is beautiful all in its own, even without makeup. I find when I have clear skin I feel better about not even wearing makeup all the time. Foundation tends to look patchy and cakey when your skin is dry. When my skin is moisturized I usually get smoother and more consistent makeup coverage. Moisturized skin with foundation doesn’t seem to soak into my pores and my fine lines. I get really bad smile lines and creases under my eyes where my foundation and concealer falls into those lines and looks patchy and not well done. My tip is to moisturize and keep your skin hydrated for flawless makeup! I know that this is probably the most obvious tip but it is so important! There is nothing more annoying than non-blended foundation or eyeshadow. This is one major tip that I needed to learn as I started to work on my makeup skills. I think I spend most of my life blending makeup. Girls, make sure your contour, eyeshadow, and foundation is evenly blended and not harsh! This gives you the most natural and flawless makeup look possible. Grab a good brush and keep on blending-erase those harsh lines! I know this isn’t an exact tip, but it is so true. Never be afraid to ask questions, Pinterest something, or watch a tutorial on Youtube. I will never be a fully equipped makeup artist, but I will always keep learning and perfecting my craft. Play around with different palette’s and techniques-always have fun and keep learning. Flawless makeup won’t come your very first try, for any of us, but that is why we work on it. I hate it when you can see a line of demarcation! Yes!!! I did that for so long. Ugh! Glad I learned. I’ve been watching ALL the tutorials at the moment and they have helped me so much. Ugh to having adult acne and breakouts…it’s no fair! I spend most of my day watching YouTube! Haha!! all very true! I’m not a big makeup person myself, but as a photographer, I’ve learned to ‘apply’ makeup corrections for people in post processing, to smooth out some of the points you’ve mentioned. 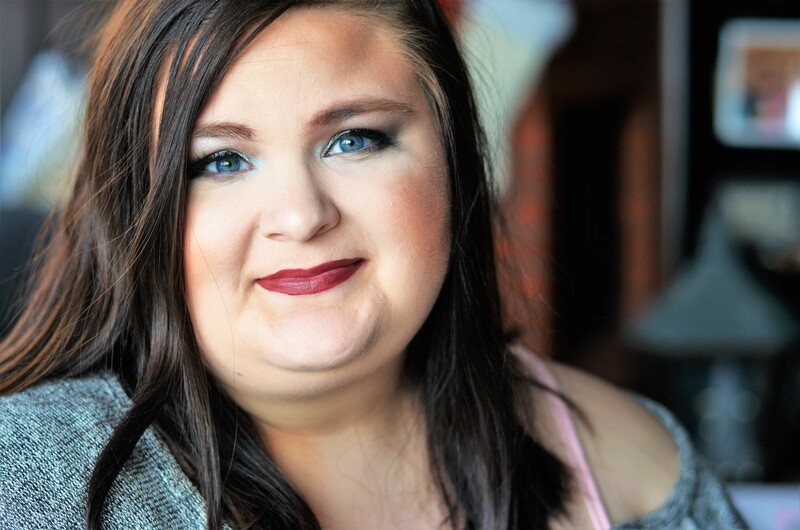 I’d say another tip is to just take a picture of yourself in natural light, to see how your makeup really looks– when we’re standing in front of the mirror, our eyes trick us sometimes, but the camera never lies! Yes!! That’s a great tip! Yes, those orange fluorescent lights make me look very different! The camera is a pretty honest thing and shows when things aren’t blended well or a shade or two off. Having well-applied makeup is a boon to is photographers. Thanks for sharing these great tips! Oh my gosh, my grandmother (who is 76 but looks like she’s about 50) SWEARS by #4. She has told me all my life that the secret to great skin is to constantly moisturize in and out!